Psychic and Mediumship Development Classes in Poundbury, DORCHESTER, Dorset, UK. PRIVATE. Tuition tailored to your needs wherever you may be along your development path. Many students have found that attending a development class isn’t always convenient and totally fulfilling. This may be due to having to commit week after week, fellow students not being at your level, personality clashes etc.etc.etc. If you feel you would like a personalised session just for you, with a hundred per cent attention to help you learn, unfold or sort out your blockages, then one to one tuition is available to help you along your path. 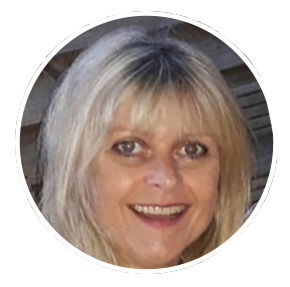 Emma Leverton offers one to one confidential teaching in person at her therapy centre. Please email info@r-em.co.uk to discuss your requirements or call 07826 791 360 or 01305 751977. GROUP. If you would like to come with a friend or a small group this is possible, please do contact Emma to discuss your requirements and for more information; group discounts are available. Emma is also available to travel to teach groups, lecture or run workshops, please get in touch with your requirements also see here. Students must be over 18 years old. How to connect and trust, Knowing your guides, Unlocking your potential, What does it mean to be Psychic or a Medium, Your many choices and how to choose your route and tools. Sitting in the Power, Meditation, Chakras, Working with Colour, Aura reading, Numerology, Name vibration, Spirit realisation, Remote Viewing, Pendulum, Psychometry, Tarot, Divination cards, Runes, Palmistry, Dream Analysis, Sleep Therapy, Cord Cutting. House Energies, Space Clearing, Feng Shui, Regression, Crystals and their uses, Healing, Energy work, Astrology – the signs and influences, How to feel more confident with a Mediumship sittings, Clairvoyance, Clairaudience, Clairsentience, Conducting a Psychic Reading, Table Tilting, Ouija Board, Psychic Art, Automatic Writing, Tea Leaves …….. Classes are held in a relaxed and confidential environment. Group: If you would like to come with a friend or a small group this is possible, please do contact Emma to discuss your requirements and for more information; group discounts are available. Please contact Emma to discuss your tuition requirements. Interested in my Lectures and Events? Thanks for your guidance, inspiration, your insights and information. My life is suddenly opening up once more. Thank you for your support. Thank you for everything.